This metal-like clock features Roman numerals and a detailed clock face. The clear areas are open making it perfect for putting it on top of a wonderful background. Leave the color as it or transform it with ink, dye, stain or paint. 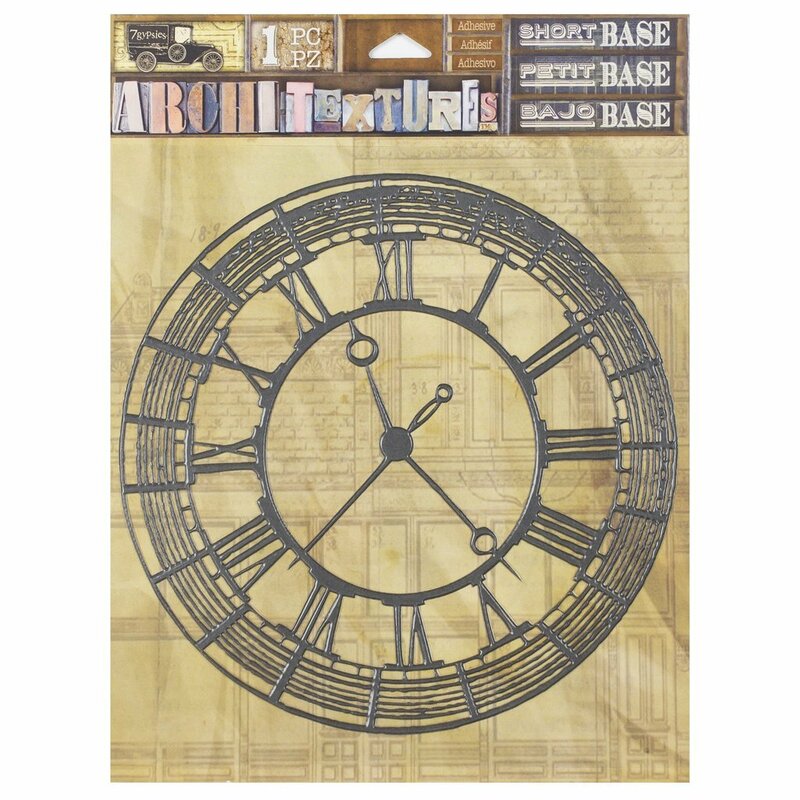 Use as a stencil or mask to create multiple clock backgrounds.